I’ve learned how to use the Adobe Photoshop at school in college, which is part of the course that I took in college – which is Information Technology. So I must learn how to use it and produce the photos that are required, know the tools to be able to pass and graduate. What was hard with the class that I took is that the instructor is good, he’s really good in using the Adobe Photoshop but he’s not really good in explaining and teaching us how to use it. Sadly, way back then there’s no YouTube to at least learn it at least through basic Photoshop tutorials. So we have to actually read the book, websites and see the screenshots provided. Good thing these days, there are already sites like YouTube wherein you’ll be able to find people who can do the job and what’s great is that, it’s totally for free for you to watch and learn! A lot of my readers here are bloggers and they’re asking me sometimes how was I able to do things using the Photoshop and sometimes they want me to teach them. So hopefully, these couple of basic Photoshop video tutorials from Lynda.com will be able to help you learn at least the basics in using the software. I think getting to know how to use the Photoshop layers will be able to help you understand and create multiple images into one. 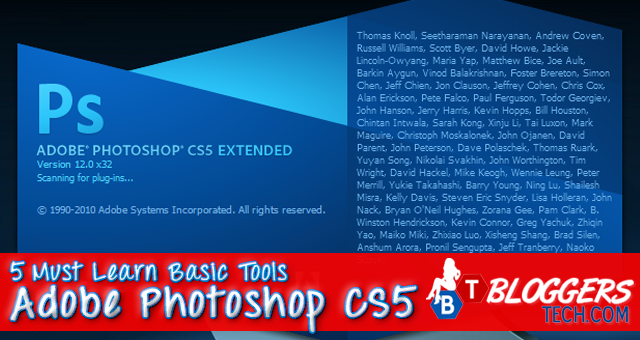 So in the Photoshop CS5 tutorial above will surely help you get to know the basics about layers. One of the questions that ask me when they watch me working on a photo is about selecting. This another basic photoshop tutorial will surely help you which is about the selection tool could help you create and select a photo. I usually use the selection tool in cropping the photo, but I guess this is the best practice to do. My friends saw photos of mine that I'm somewhere else or someone else, so with free transform, you'll be able to get the idea how I did it using the Adobe Photoshop. The important thing in an image, or part of the image is the background. So I think the basic about the background and getting to know about the background layer is important,especially for newbies. No worries, it's just easy Photoshop tutorial it will be no sweat to you! I’ve tried my best to find easy Photoshop tutorials online but these videos are the best that I could find. So if you have a better video then leave it as a comment below so others will know about the video, or probably about your video. And oh, the videos are not arranged on how important it is. Again, the videos above are just the basic Photoshop tutorials something that you could start with in editing photos that you want to share on your Facebook or even your blog. You could totally make an image out of it using these Adobe Photoshop tutorials and hopefully it will be pretty useful too. More of Photoshop tutorials, tips and a lot more coming here in Bloggers Tech blog, so follow us and subscribe to our updates to stay in touch! How to Find Your IP Address the Easiest Way? Globe Telecom’s Free Facebook is Back!